We are here again. Another week of helpful Iceland video is upon us, and I am so happy to be with you, and because we have a fun topic…what are the differences between Iceland and the United States? I’m going to tell you some of the insider things that I’ve learned living in Iceland that you might not know. And I want to tell you about them. I just love hanging out with you, and teaching you things about Iceland. 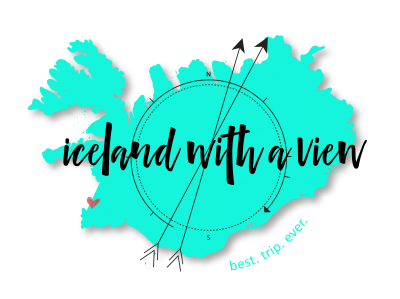 Hey, Team Iceland, my name is Jeannie, and I am your tour guide for all things Iceland planning. If you are new around here, then go ahead and hit the old subscribe button that’s below. It’s a big bright red button, so you can’t miss it. Because every week I put out helpful Iceland videos to make your trip planning smooth as silk, easy as pie. Today we’re talking about the differences between the United States and Iceland. Let’s get into it. So first up is in general you’re going to have to ask for the bill at a restaurant. 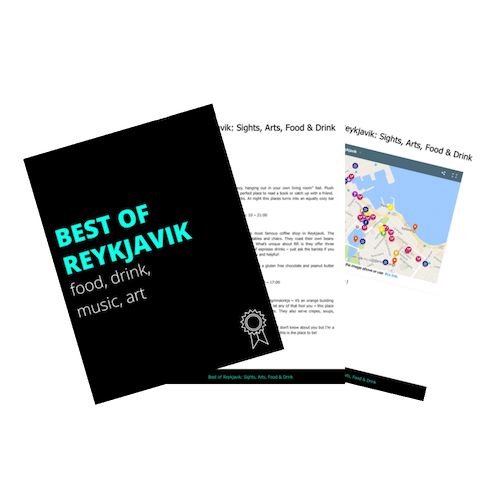 The eating culture is a lot more relaxed in Iceland, and so Icelanders will commonly spend their time just casually eating and enjoying each other’s company, and not be rushing off right away at the end of the meal. Also, the restaurant does not care about quickly turning over that table and rushing you out the door, which is really nice, I think. Next, Icelanders keep a little bit more to themselves. Now this does not mean that they are unfriendly by any means. If you go up to an Icelander, whether it be a tour guide or at a restaurant, they’re going to be friendly without a doubt. They’re some of the most lovely people I’ve ever met. But don’t be surprised if they’re a little more standoff-ish, or just a little bit different than you are used to in the US. Okay, this next step is really, really important. It is so difficult to buy over the counter medication in Iceland. When you walk in to like Walmart or a Walgreens or CVS or Target in the US, then you can buy cold medicine and Ibuprofen and decongestant and basically almost anything that you would need. This is not the case in Iceland. That stuff is behind the counter, and I know a lot of times when you’re traveling, you’re feeling a little run down, or you pick up a cold, and you just want to run to the pharmacy and grab a decongestant. Mm-mm, it’s not going to happen. This is so important. I always recommend to just bring your own prescriptions, medications, headache medicine, anything that you could possible imagine needing when you are on your trip, because it’s really hard to get that stuff in Iceland. Next up, the hours. The hours for stores are so different in Iceland. Even the grocery store, and the gas stations. This was a huge, huge surprise to me when I first moved to Iceland, and I was like, “What, you guys closed the grocery store at 6 o’clock PM?” What if someone forgot to get milk? Doesn’t matter. It’s closed. I talked about this a lot before in my grocery store videos. If you haven’t watched that yet, make sure to check it out, up here. In general, expect the hours to be very, very different, so the stores will open a bit later, and they close a lot earlier. The drinking age in Iceland is 20 years of age, and that means that you can purchase alcohol, and you can also buy an alcoholic drink in a bar at the age of 20. 20 year olds rejoice. A lot of families that I’m planning these custom Iceland trips for are asking me, “Jeannie, can I bring my 17 year old son or daughter in the bar with us? If we’re going out, even if they’re not drinking, can they come in?” This is going to be different from place to place. Usually bars will let people in at the age of 18. As far as going out for clubs and really heavy partying late into the night, they are going to be pretty strict on asking for proof of age. Always check with the place, but in general, if the establishment that you’re going to serves food and alcohol, then of course all ages are welcome. Last but not least, you guys, alcohol is so expensive. It’s so different than the US. This is even at the liquor stores. Not just the bars, where they up charge things. The reason for this is because the Icelandic government has a monopoly on alcohol sale. Beer sometimes can be found in the grocery stores, but things like liquor and wine, that is going to be sold at the one and only store called Vinbudin. Because of that monopoly, the prices are insane, so I always recommend to my people, when you arrive in Iceland, before you leave the airport, just stop at duty free and stock up. There’s going to be a maximum amount of things that you can buy per person, but buy as much as you can at the airport so you can bring it along with you, so you can hang out in the hotel, or before you head out to the restaurants, because you will save so much money doing this. Uh, it’s so expensive! But, it’s not going to stop anyone from having a great time. All right, my dear friends, those are your seven main differences between Iceland and the US. If you found this video helpful, I would really appreciate it if you would give it a thumbs up, and also don’t forget to subscribe, because remember, I am putting out new helpful Iceland videos for you every single week. And that’s awesome. I will see you guys next week!